MPs' expenses auditor Sir Thomas Legg has been criticised after several of his repayment demands were overturned. So far, nine of 70 MPs who appealed against the sums he ordered them to repay say they have been successful. 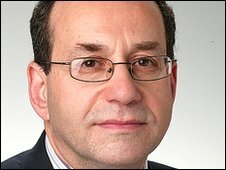 Meanwhile, Labour MP Harry Cohen has apologised for a "particularly serious breach" of expenses rules over a £70,000 second home allowance claim. He said he had intended no wrongdoing claiming for a home in his constituency of Leyton and Wanstead, east London. Those who have successfully appealed against Sir Thomas' demands include former Home Secretary Charles Clarke, Lib Dem MP Jeremy Browne and Conservative Roger Gale. Labour's Ann Cryer, Patrick Hall, David Clelland and Martyn Jones were also successful. Meanwhile, Conservative Bernard Jenkin said he had been told to repay £36,250 in expenses - about half the original demand. The Daily Telegraph has reported he claimed for rent on a farmhouse owned by his sister-in-law and did not stop when renting from family members was outlawed in 2006. Labour's Frank Field said the sum he was required to repay had been reduced from £7,040.49 to £4,042.50. And veteran Labour backbencher Dennis Skinner revealed Sir Thomas had offered him an "unreserved apology" after mistakenly asking him to repay about £5,000. When the expenses scandal unfolded in May, Gordon Brown asked Sir Thomas to look for mistakes made in expenses claims approved by the Commons Fees Office during a five-year period. Sir Thomas instructed about 200 MPs to return hundreds of thousands of pounds in "excessive" claims but angered many by applying retrospective limits on what he thought should have been claimed for gardening and cleaning. When 80 MPs appealed, former appeal court judge Sir Paul Kennedy was appointed to examine their cases. Mr Gale, MP for Thanet North in Kent, was ordered last October to hand back about £2,100 for mobile phone bills and £370 in rent for a London flat. He said his argument the mobile claims were "permissible" at the time and the rent demand had been made under the mistaken impression he had double-claimed had been accepted. "I'm gratified that Sir Paul Kennedy has done thoroughly and very carefully the job that I had hoped and expected that Sir Thomas Legg was going to do," he added. Mr Skinner, MP for Bolsover in Derbyshire, disclosed the contents of a letter he received from Sir Thomas last year. It read: "This should not have happened and I want to lose no time in offering an unreserved apology." The auditor had asked him to return money towards a £9,280 kitchen, an £880 sofa bed - specially adapted because of the MP's illness - and cleaning costs. Mr Skinner, 77, said Sir Thomas had relented after he had proved he had paid about 70% of the cost of the kitchen and half that of the sofa bed himself, and that the auditor had double-counted his claims for cleaning. "Since I have been in the bottom three for expenses claims for six years and I have the best voting record, even at my age, naturally I was a bit upset," he said. Mr Cohen, however, accepted he must apologise to constituents and fellow MPs in the House of Commons. 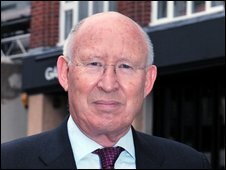 Parliamentary Commissioner for Standards John Lyon found he had consistently designated a house in Colchester as his main property since 1998, so claiming various constituency properties as his second home. However, between 2004 and 2008, Mr Cohen lived mostly in the constituency, while periodically letting out the Colchester house to tenants on six-month leases. He received more than £70,000 in second homes allowances, when an outer London MP with just one home would have been entitled to claim just £9,000 in the London supplement over the same period. Mr Cohen told MPs he was sorry for wrongly assuming he was eligible to claim. "I have the greatest respect for Parliament and would not intentionally have wanted to do anything to tarnish its reputation. I am sorry if I have done so." The Commons Standards and Privileges Committee, which ordered Mr Cohen to apologise, ruled he must now forfeit a £65,000 resettlement grant due when he stands down at the forthcoming general election. The committee accepted the couple had moved from Colchester while Mr Cohen's wife, Ellen, underwent treatment for a stroke at a north London hospital and had intended to return. However, its members said it should have been clear they would not be moving back in the short term. The first MP to reveal his appeal against Sir Thomas's repayment demands had been successful was Liberal Democrat for Taunton in Somerset, Jeremy Browne. He said he felt "vindicated" but not elated after Sir Paul judged he had acted "openly and honestly". After being elected in 2005, Mr Browne raised the deposit to buy a constituency home by remortgaging a London flat he had owned for several years. He designated the flat his second home and claimed the interest on the increased mortgage as expenses. Sir Thomas said he should only have claimed for interest on the original mortgage and asked him to repay the difference of £17,894.24. However, Sir Paul ruled the MP's claims were justified and for "the very purpose" the second home allowance had been designed. Meanwhile, government sources say International Development Secretary Douglas Alexander will not have to repay a claim of £420 for garage doors. Sir Thomas had believed the claim duplicated but had been satisfied by correspondence, they said.